Can you imagine a marine park the size of Italy? What if at its heart was an archipelago called ‘the unfortunate islands’? This past month, the Chilean government announced the creation of Nazca-Desventuradas Park, a 297,518 square kilometers (114,872 square miles) marine park. Located approximately 850 km off Chile’s northern coast, its descriptive name includes reference to the tectonic plate that lies below it and the Desventuradas Islands—an isolated archipelago situated at the heart of the park. When these islands were discovered centuries ago, they were dubbed the Desventuradas (a Spanish name roughly translated as the “Unfortunate islands”). But, we now know that the archipelago is actually one of most fortunate places on Earth. The surrounding marine ecosystems offer unparalleled examples of habitats largely undisturbed by human interference. An amazing 72% of the underwater creatures surrounding the islands are endemic species (meaning they are found nowhere else in the world) and some have yet to even be described—species new to science!! The marine park designation will dictate how and under what circumstances the marine resources of this unique ecosystem can be used. There is currently a small number of fisherman from Chile’s Juan Fernández Islands who participate in a century-old, certified sustainable harvest of lobster (Jasus frontalis) from the waters surrounding the islands. Park protection will allow for healthy fish and lobster stocks—a vital component for this and every marine ecosystem. The once thought extinct Juan Fernández Fur Seal. These marine mammals depend on a healthy marine environment for survival. The creation of the Nazca-Desventuradas Marine Park will greatly benefit their continued survival. The Juan Fernández fishermen and their community have been the driving force behind the establishment of this park. In collaboration with an NGO partner, Oceana, and the Municipality of Juan Fernández, the community’s dream of protecting these rich waters is now a reality. 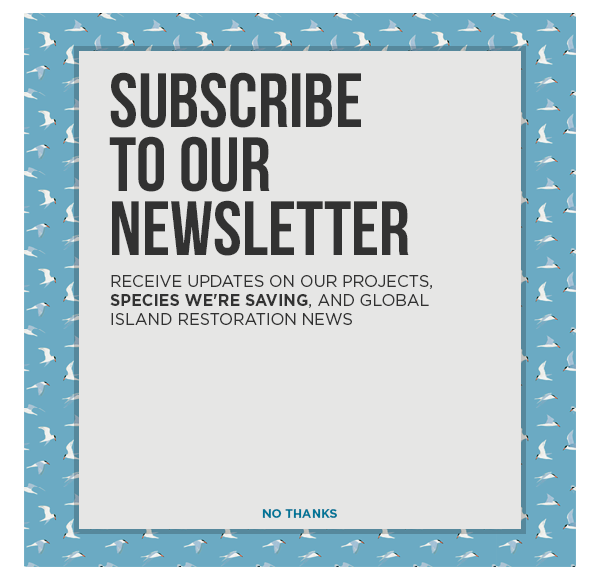 Island Conservation helped build the seabird conservation component of the proposal to protect the many seabird species which feed in the waters of the Nazca-Desventuradas Park to ensure that these species continue their important role in the ecosystem. 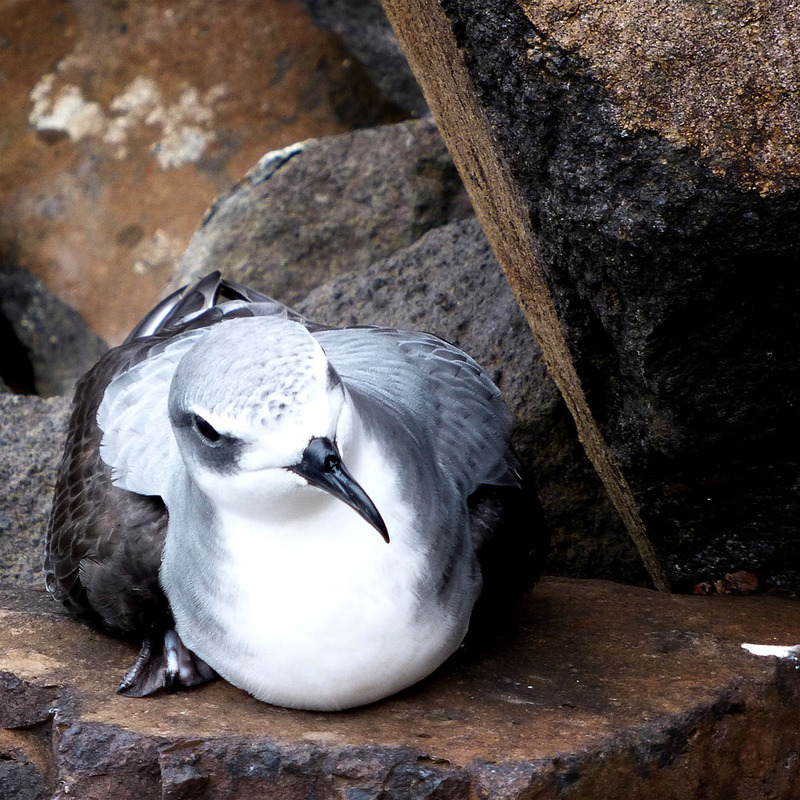 Seabirds like the Masatierra (Defilippi’s) Petrel nest on the Desventuradas Islands, transferring important marine nutrients to the terrestrial system which support plants and invertebrates found nowhere else in the world. Unique species are threatened by introduced invasive animals and now the Juan Fernandez Islands community is driving efforts to better understand and restore the Desventuradas terrestrial ecosystems. As the biggest marine park in South America, the creation of the Nazca-Desventuradas Park is an important step for global biodiversity conservation. While there remains much work to do in defining how the park will be managed and administrated, the many government, non-government, and community groups involved in the creation of the park have earned a well-deserved congratulations. The park, communities, islands and ecosystems are indeed fortunate!